The trial lawyers who lead our securities enforcement and securities litigation defense team have an unusual combination of professional experiences that enables them to serve our clients well. Our team of senior advocates has significant experience and success in representing some of our largest financial institutions, corporations, and their executives. 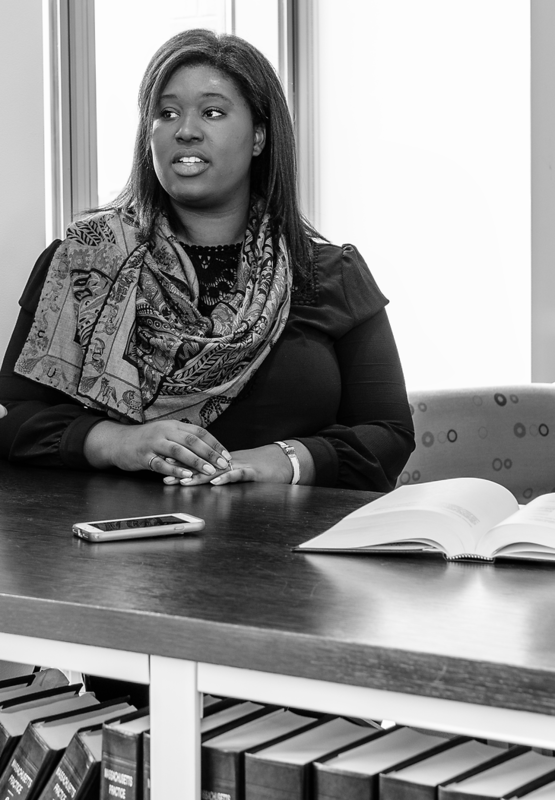 With the benefit of their experience, our lawyers have obtained positive outcomes for our clients in numerous government enforcement actions and private securities actions. Those include numerous securities arbitrations asserting a wide variety of sales practice and product-related claims. Clients choose us for our ability to produce results and deliver value. We prepare a case for success with efficiency in our processes and leanness in our staffing. We also commit significant partner-level attention to each and every matter. The Nutter team is particularly adept at dealing with claims related to finance and wealth management and has regularly served several of the top 10 financial services firms in the world, as well as public and private companies; accounting, finance, and investment professionals; and corporate executives and directors. 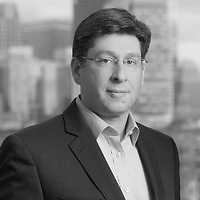 Jonathan L. Kotlier, who served for 12 years in the U.S. Attorney’s Office for the District of Massachusetts, during eight of which he was Chief of the Economic Crimes Unit. He worked closely with the Securities and Exchange Commission and the Massachusetts Division of Securities on securities fraud cases and has conducted internal investigations and represented numerous high level corporate officers in investigations by the SEC and Department of Justice. Jonathan is a seasoned trial lawyer, having tried over 20 cases to verdict. Ian D. Roffman, who served for seven years in the Enforcement Division of the U.S. Securities and Exchange Commission, rising to the position of Senior Trial Counsel in the Boston office. While at the SEC, he led dozens of high-profile investigations and enforcement actions involving public company disclosures, mutual funds, investment advisors, broker-dealers and insider trading, and he received the Enforcement Director’s Award and the Chairman’s Award for Excellence. Represented a Fortune 200 technology company in an SEC accounting investigation. Investigation closed with no action. Represented the CEO and CFO of a brand name retail company in an SEC accounting investigation. Investigation closed with no action. Won an acquittal after a three-week securities fraud trial in federal court for general counsel of a publicly traded software company. Represented the head of Investor Relations of a Fortune 100 company in an insider trading investigation. Investigation closed with no action. Represented a Big Four accounting firm in multiple civil actions and government investigations. Represented a public company provider of management services in SEC and NASD inquiries into alleged insider trading. Investigation closed with no action. Represented a public company provider of management services in SEC and NASD inquiries into alleged insider trading in which no charges were brought. Represented the executives of a public company in SEC inquiries into possible accounting and disclosure fraud in which no charges were brought. Represented a senior executive of a financial services company in SEC inquires into disclosures about subprime in which no charges were brought against Nutter’s client. Represented a publicly-traded utility in SEC and state securities bureau investigations into alleged non-disclosure of transactions with a corporate officer and insider trading; lengthy investigations were resolved by settlement viewed by the client as favorable. Represented a major investment firm in a contract dispute arising out of alleged violations of British stock exchange laws; contract dispute was settled on terms regarded by client as favorable. Representeda major bond underwriter in federal securities fraud claim winning motion to dismiss. Repeatedly conducting fruitful internal investigations for public companies concerning accounting practices, disclosures, leaking of confidential information and other issues. Representing a company and its president in a government appeal of dismissal of a criminal case involving accusations of false statements made in a Wells submission in which we won affirmation of dismissal of all charges. Representing a foreign holding company that was victimized by a fraudulent investment scheme and successfully obtaining a preliminary injunction in federal court. Successfully avoided an enforcement action by the U.S. Treasury Department against a financial institution that failed to file currency transaction reports for over $50 million in cash deposits. Represented a trader at a major investment firm in an SEC investigation of alleged insider trading; no charges were brought. Represented employees of a large investment management firm in an SEC investigation of allocations of initial public offerings; no charges were brought. Represented the CEO of a major investment management firm in connection with SEC and various state attorney general investigations of the mutual fund industry; no charges were brought. Represented a former broker of a major investment firm in an SEC lawsuit charging fraud in connection with excessive trading and market timing; negotiated a resolution viewed by the client as favorable. Represented individuals in multiple SEC investigations concerning options backdating at several public companies; no charges were brought. Represented the CFO of a public company in an SEC investigation concerning accounting disclosures; no charges were brought. Represented hedge fund managers in an SEC investigation regarding market timing; no charges were brought. Obtained the dismissal of multiple fraud and breach of fiduciary duty actions filed in a California state court against a managing director of a private equity fund sitting on the board of directors of a health care management corporation. Successfully avoided a suit for a mutual fund client in connection with an investigation by the Massachusetts Division of Securities.